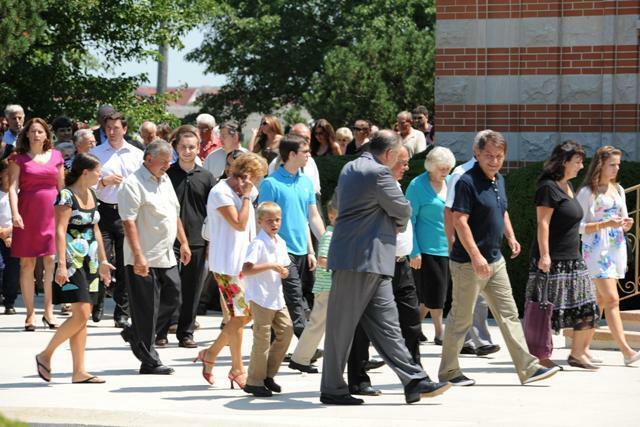 Merrillville, IN – The patron Saint and protector of the St. Elijah the Prophet Serbian Orthodox Cathedral in Merrillville, IN was celebrated by the many faithful in liturgical joy. The liturgical gathering was led by His Grace Bishop Longin of New Gracanica and Midwestern America with the concelebration of V. Rev. Stavrophor Lazar Kostur, Fr. 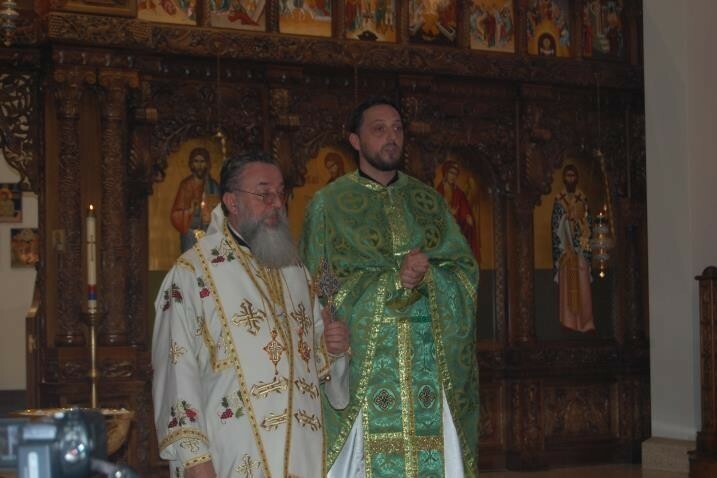 Aleksandar Novakovic and Deacon Nikolaj Kostur. 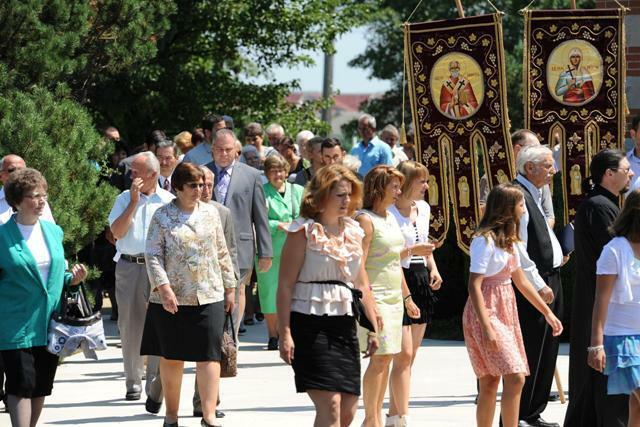 Though the cathedral church is, both in beauty and size, impressive, on this day it was full of many faithful who offered their prayers to our Lord Jesus Christ and the Holy Prophet Elijah, entreating Him that blessings and grace be with the Serbian people who are suffering in Kosovo and all Serbian lands. Members of the choir warmed the souls and hearts of those present with their melodic singing. In an inspiring homily Bishop Longin spoke of spiritual blindness which oftentimes binds us in order to see in fullness the reality of our spiritual life and love and respect for other people which every Christian should carry in their heart. So many of the spiritual thoughts which flowed forth from the bishop's homily was a real unction for every one in church that morning. Fr. Aleksandar Novakovic, the dean of the cathedral, greeted Bishop Longin and thanked him warmly for his fatherly concern which he shows towards the faithful and clergy. 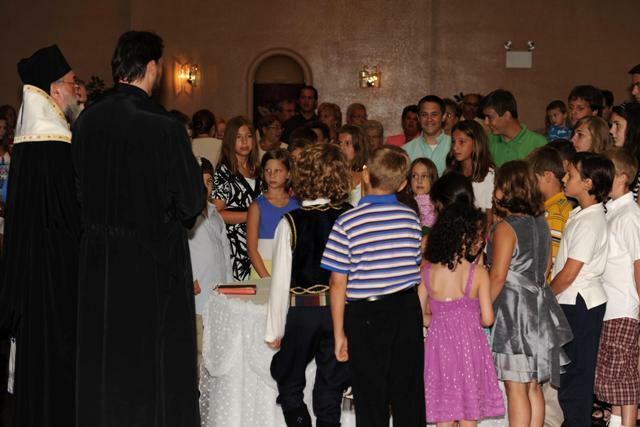 Greeting the gathered people of God for their eucharistic community of love, Fr. 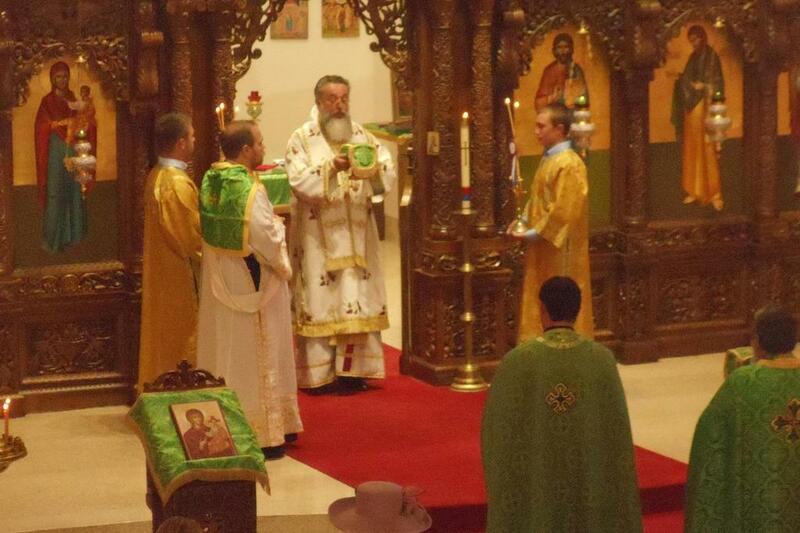 Aleksandar stressed the importance of a sacramental life of every believer in Christ's Church. Our Christian path is a path of faith, love, forgiveness, true life and witnessing of the living word of God. Following the Divine Liturgy, Bishop Longin, together with the many parishioners and clergy from the Chicago Deanery, blessed the Slava wheat, cut the Kolach and wished everyone a joyous and blessed Krsna Slava of St. Elijah the Prophet. Members of the Kolo Sestara prepared the Slava banquet meal for all parishioners. 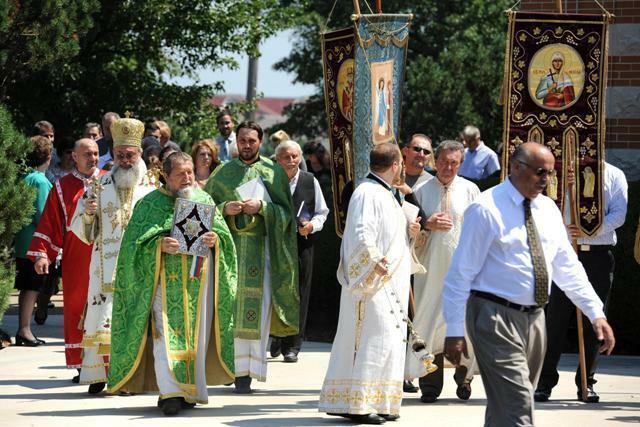 This was truly a beautiful spiritual event in which Bishop Longin, with his love and wise words for encouragement and strength to continue to spiritually grow that we might grow in the Orthodox.